Raccoons may just be the cutest pest you ever deal with. Make no mistake though, they will cause havoc given the chance. Raccoons can rip their way right into your home or attic. They must be handled carefully, and you should never try to catch them on your own. 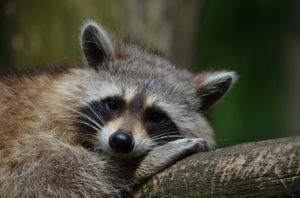 Post-raccoon cleanup is a nasty job – one which involves both repairing damaged property and sanitizing all necessary areas. Your only task is to consult a removal service with years of experience handling situations like yours. Understand that if allowed the time to create a home for themselves, your raccoon issues will compound. You definitely want to be proactive in removing them – start by calling Columbus, OH’s leading removal company, Buckeye Wildlife Solutions, at 844-544-9453! Removing Raccoons from the Area. Attic Clean-up & Restoration Services. Raccoons are located all over the Columbus area, causing problems for homeowners near and far. 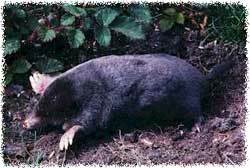 They can be heard chattering and making noise at night while they tear through trash cans and houses. Raccoons leave visible clues like entry holes, paw prints, and unusual property damage. 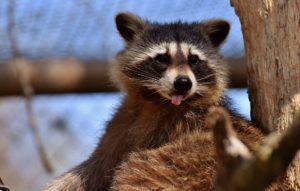 With a hand similar in shape to the human hand, raccoons have an incredible capacity to cause mayhem everywhere they go. They have remarkable dexterity and coordination which allows them to target any area which fits their needs. 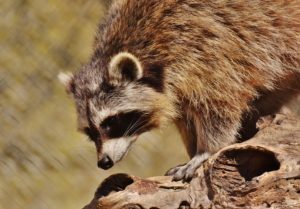 Buckeye Wildlife Solutions specializes in humane raccoon removal. If you are in need of a raccoon removal service, call us at 844-544-9453! WHY MIGHT I NEED AN ATTIC RESTORATION AFTER REMOVAL? 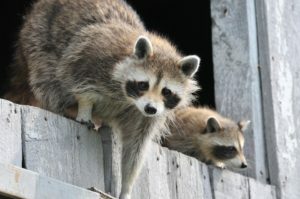 There are many ways for a raccoon to cause damage to your home or attic. Many times, raccoons will dig through your insulation – tearing up your air ducts, roof, and even your walls. They are bold scavengers who will tear your house to shreds to find what they want. It is also common for invading raccoons to leave piles of waste behind, which can accumulate and be hazardous to those in the immediate area. The longer a raccoon is allowed to roam on your property, the more damage they will cause. A professional wildlife removal service will repair all damage caused by raccoons and leave your attic looking as good as it used to. Give us a call at 844-544-9453 right now and know that you and your living quarters are in good hands.